Passing a bad check is a serious crime in Pennsylvania. You can be charged for a bad checks offense under Title 18 Section 4105 if you pass a bad check or money order to another person or organization, knowing that it will not be honored by the bank. You can find yourself charged with a bad checks offense for passing a bad check in another state, when the bank is located within the Commonwealth of Pennsylvania. If you are charged with Bad Checks, you could also find yourself charged with other crimes if you obtained money, goods or services by using the bad check. You can be charged with Theft by Deception for accepting money or goods with a bad check, or Theft of Services for accepting services by using a bad check. In those situations, Receiving Stolen Property charges would apply as well. To read the Pennsylvania Bad Checks Statute under 18 Pa.C.S. 4105, click on this link. 1st Degree Misdemeanor: Punishable by up to 5 years in prison if check is $1,000 or more but less than $75,000, or if you pass a bad check of any amount less than $75,000 and it is your 3rd offense within 5 years. 3rd Degree Felony: Punishable by up to 7 years in prison if check is $75,000 or more. 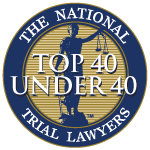 If convicted of a bad checks offense, you will be required to pay restitution for the face amount on the check from the date payment was refused by the bank, along with interest and service charges. 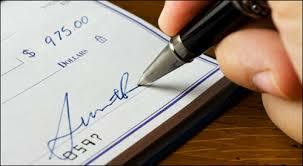 With bad checks cases, the prosecution needs to establish that you were the person to cash or issue the check. Many banks, store and check cashing establishments will make a photocopy of your ID when you write a check. The prosecutor can also rely upon video surveillance footage and eyewitness testimony. Second, the prosecution needs to establish that you knew the check wouldn't clear at the time you issued or cashed it. This element of proof is easiest in the cases where the bank account linked to the check was closed, or the bank marks "counterfeit" on the check. In other cases, your check may be stamped "NSF" for insufficient funds, or you failed to make payment after receiving 10 days notice from the victim of the rejected payment. WHAT IF I ACCIDENTALLY WROTE A BAD CHECK? If you accidentally passed a check that did not clear due to lack of funds, the person or company you passed the check to has to provide you with notice that the bank refused payment due to a lack of sufficient funds in your account. Under the bad checks statute, this notice can be provided orally or in writing. To establish notice, the person you passed the check to can send a certified letter to either the address listed on the check, or your last known address. It is not a defense that you moved to a new location, and didn't receive the physical letter. Once notice is established, you have 10 days to submit proper payment, or you can be prosecuted under the bad checks statute. Reduction of misdemeanor and felony bad checks charges to a summary offense, stopping the case at district court. Phoenix Court program for those with a prior record. If you are facing Bad Checks charges, call Zuckerman Law Firm today at 412-447-5580 for a free, confidential consultation.